It's been more than forty years since I walked into a lecture hall in Montreal to listen to a man I knew only as the son of the man whose name appeared above the entrance to the university library. I thought about that moment when Saturday's Globe and Mail declared Jean Vanier its Nation Builder for 2008. The subject of Vanier's talk that day was familiar to anyone who has followed his life: His focus was on those people who, in French, Vanier calls les faibles -- in English, literally, "the weak" -- but which more faithfully translates as "the vulnerable." Vanier believes we are all faibles. For him, however, the most vulnerable are the mentally challenged or, as current terminology would have it, the "developmentally disabled." Vanier is the son of Canada's first French Canadian Governor General. He spent his youth in Britain and the British navy, a scion of privilege. Yet he left all of that behind and founded a community he called "l'Arche" -- the Ark -- to serve the very people he spoke of forty years ago. What struck me most that day -- and what has stayed with me for the rest of my life -- was his notion that we, the privileged, owed a debt to les faibles. In my youthful narcissism, I had thought it was the other way around. But, for Vanier, these were the people who gave our lives meaning: they gave us the opportunity to work for what was good, decent and transcendent. It was a notion which I greeted with considerable skepticism. And, at the end of the lecture, I proceeded to the podium to ask him what I thought was a worldly-wise question. I have forgotten the question; and I have forgotten the content of his response. But I will always remember how he answered my question. He did not dismiss me as another foolish youth. In fact, he gave me his complete attention. His eyes did not wander to other people or events in the room. He dealt with my skepticism directly and was in no hurry to move on. I was aware from that day forward, as I read his books and followed his work, that he is a truly remarkable man. Vanier's conviction has never wavered. Today, as the world strains under the enormous burdens the best and the brightest have left in their wake, his message is the same. To those who have worshipped at the altar of free markets and global competition he says, "There's obviously a good aspect to competition -- the development of the body, the mind, creativity. But there's something where we can very quickly walk on people -- I want to prove I'm better than you. [What really matters is] how to find a world where the essential thing is to work for peace, to work to build something together." It is our recognition that we are all faibles that keeps us from walking on each other. "Vulnerability," says Vanier, "brings us together." When I think about that lecture hall forty ago, I also think about a more modest lecture hall in which I sat a dozen years ago. It was the end of the day, at the high school where I taught for most of my career. The Director of Education for our school board had gathered us together to explain how The Common Sense Revolution was going to change education in Ontario. To underscore his point, he told us the parable of the animals at the water hole. 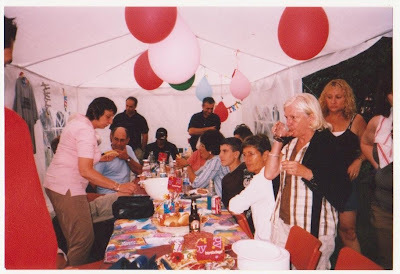 It seems that a lion wandered into a gathering at a particular African source of refreshment. He surveyed the impalas, wildebeests, zebras and other long time members of the congregation. One of the impalas looked up and noted the lion's presence. "Well," she said, "this is certainly a change." The lion -- his eyes gleaming -- responded, "Yes. And from now on you're all going to have to run a lot faster." That particular director has retired. I do not know what became of him. I assume that he has found a comfortable chair from which to view the passing parade. Jean Vanier has also retired. But he has not looked for a comfortable place to land. He gives L'Arche -- as he gave me -- his complete attention. He still visits its many homes throughout the world. And now, he says, "I am free to do what I like, and what I like is to announce the message: That people who are weak have something to bring us, that they are important people and it's important to listen to them. In some mysterious way they change us." As we face the new year, we need to remember our debt to the vulnerable -- and we need to remember that we are all vulnerable. History will remember Bernard Madoff as the incarnation of the financial folly of the late 20th and the early 21st centuries. But it will not place the blame for that folly at his feet. Instead, it will tell the story of a generation who fervently believed they could get something for nothing -- or next to nothing. That story will begin in the late 1950's, when -- as Jeffrey Simpson wrote in The Globe and Mail -- there occurred "the intellectual revolution of Barry Goldwater's rage against the state, social conservatism, Arthur Laffer's curve, and the idea that ever lower taxes would bring ever higher revenues, so that budgets could and would be balanced by some miracle that had previously escaped economists and, indeed, previous generations of sound money, balanced budget Republicans." Given a patina of respectability by academics like Leo Strauss and Milton Friedman, the revolution was carried forward by Margaret Thatcher in Britain and Ronald Reagan in the United States. Always about a decade behind their democratic forebears, Canadians heard the same gospel from the mouths of Preston Manning and Mike Harris. The revolution reached its apex --and was asphxiated -- under George W. Bush in the United States and Stephen Harper in this country. But it would be disingenuous to conveniently pin the tails on these donkeys. For, truth be told, the revolution and the destruction it has spawned was powered by a generation of donkeys -- my generation. As Jim Hoagland wrote in last Sunday's Washington Post, we are the generation who have "taken the greatest financial, technological and political opportunities the world has ever offered and abused them for our own pleasures, greed and egos." Public schools and universities were built to educate us; the post World War II economy coddled and pampered us; and the health care and pension systems were constructed to lead us gently into the night. But, not content with our lot, we insisted on our right to have much, much more. Mr. Madoff's ponzi scheme was the prefect realization of that wish. He gave those of us, who are or soon will be retired, splendid returns. However, he achieved those returns by taking money from new investors -- the young -- and playing Robin Hood to those of us who took the proceeds and never asked how they were generated. As Mr. Hoagland rightly points out, we have left those new investors -- our children -- "fetid stables of debt, scandal and corruption." The result is a rising tide of youthful anger. At the moment, it finds expression more in Europe than in North America. Students riots in Greece have left 70 dead and a trail of vandalism and destruction. That fire is spreading: "The same dry kindling of the Greek uprising is scattered around Europe," Hoagland writes," where youth unemployment rates are double or triple those of the population over 24, according to the Organization for Economic Cooperation and Development, and retirement benefits are politically untouchable. Similar tensions are rising in China, as the global recession deepens, in oil producing countries such as Russia and Iran that are caught in the whiplash of rising and falling prices, and most of all in developing countries with broken governments and economies that punish the educated young disproportionately." It is not enough to lament the mess we have left our children. The clock is ticking and we must make things right. We must run monumental deficits to invest in their futures; and, when we have primed the pump and created jobs for them, we will have to follow Keynes' advice and pay for those investments in the good times. We have done just the opposite for nearly forty years -- and we are surrounded by the carnage we have created. The problem with Hemingway's definition of courage -- grace under pressure -- is that, while it's a neat turn of phrase, it's nonetheless shallow. There is so much more to courage than just grace under pressure. Be that as it may, Bob Rae displayed both courage and realism last week when he bowed out of the race for the leadership of the Liberal Party of Canada. He faced a central political problem. As Jeffrey Simpson noted in The Globe and Mail, "Like Macbeth's 'horrible shadow,' Mr. Rae could not escape the reality and mythologies of his years as the NDP premier of Ontario. They have stuck to him and tormented his political career as a Liberal. Even outside Ontario, where Liberals and others had not experienced those years, the telling of the province's travails, and those of his government, spread across the land, seeping into the common (if potted) wisdom of what actually happened and why." Some claimed that his insistence on the principle of one person one vote was an obvious attempt by a losing candidate to tip the race in his favour. However, the last time I checked, that principle was at the root of western democracies. Others claimed that his support for the opposition coalition was a loser's game. But again, according to the rules of parliamentary democracy, that principle has been in practice for hundreds of years. Mr. Rae does not need anyone to lecture him on principles. But, as perhaps the best Canadian politician of his generation, he can read his times; and he understands exactly what Stephen Harper has been trying to do to his political opposition -- and exactly what kind of response it requires. More than that, he has a refreshing sense of perspective. "It's only politics," he says, "it's not the end of the world." Somehow, one cannot imagine Stephen Harper making that kind of statement. Even if the coalition fails, it has given Canadians confirmation of what they have long suspected -- but which the Prime Minister has sought to soft peddle in a soft blue sweater. Put simply, Mr. Harper believes -- with Vince Lombardi -- that "winning isn't everything; it's the only thing." The coalition has also given us a glimpse of how Stephen Harper reacts when he is genuinely scared. It is not a flattering portrait. Harper is reputedly a very bright man. The late David Halberstam, in his book The Best and the Brightest -- the story of how John F. Kennedy and his brain trust blundered into Vietnam -- intended the book's title to be ironic. The title, he wrote, underlined "the difference between intelligence and wisdom, between the abstract quickness and verbal facility which the team exuded, and true wisdom, which is the product of hard won, often bitter experience." The prime minister is a bitter man but he is not a wise one. Mr, Rae, on the other hand, has known -- and, as last week illustrates, continues to know -- bitter experience. But he has emerged from that experience a wiser and a much better man than Stephen Harper. Winning isn't all it's cracked up to be. Bob Rae has an adjective to describe Stephen Harper's appraoch to anyone who opposes him: "Nixonian." Rae knows his recent history. In fact, he had a passing acquaintance with the man behind the adjective. When his father was posted to Washington in the early 60's, Rae delivered Nixon's newspaper. But the events to which Rae refers occurred thirty-five years ago. For those who lack historical context, Rae offers a more riviting image of the Prime Minister. Harper, he says, "throws for the head." Having pledged at the recent G20 meeting in Peru to act in tandem with his economic partners, Harper made noises about providing a fiscal stimulus package for the Canadian economy. As David Olive notes in today's Toronto Star, those partners have seen the danger and are acting decisively: "Collectively the U.S., Europe and Asia have committed $2.6 trillion (U.S.) to jump start economic growth, in addition to more than $2.7 trillion so far to bail out a crippled global banking system. The pump priming and financial system bailouts are huge, in part to inspire business and consumer confidence -- equal to 7% GDP in Germany, 16% in China, 21% in Britain." Harper has tried to suggest that his government was prescient, having instituted tax cuts of $2.5 billion (Canadian) last year, before the economic storm hit. But, as Olive notes, the tax cuts "were accompanied by $4.3 billion in spending cuts, for a net stimulus that is, in fact, negative." And, when Mr. Flaherty offered an economic update to the House on November 28th, his only concrete proposals were to cut spending by $2 billion -- cutting public funding for political parties, banning public service strikes for the next two years (even though the largest public service union signed a four year agreement on November 24th) and dismantling pay equity mechanisms. He said he was considering a stimulus package. But, as he looked into his crystal ball, he saw modest surpluses. He concluded: "I hope the economy will be strong and we won't need to have any additional stimulus in the Canadian economy, but if it's necessary to do so, we will do so." Mr. Flaherty's phlegmatic response is in stark contrast to Barak Obama's, whose country is the destination for 70% of Canada's goods and services. "We are facing an economic crisis of historic proportions," says Obama. "The truth is we do not have a minute to waste." Mr. Flaherty's constituents must take great comfort in his expertise. In his riding, Olive reports, "year over year Employment Insurance claims have shot up 96%." In the face of this data, the government has declared a seven week time out. Obviously, Mr. Flaherty is delusional. But his delusions are a mere subset of a greater delusion, which is the lifeblood of the current government. That delusion is the narcissistic certainty that what is good for Stephen Harper is good for the country. Facts -- like Harper's claim that there were no Canadian flags behind Mr. Dion, Mr. Layton and Mr. Duceppe when they signed their accord, even though there were clearly three in the background -- are irrelevant. Indeed, Mr. Harper last week sounded eerily like Lucien Bouchard during the 1995 referendum, when Bouchard's volcanic temper was at full bore. 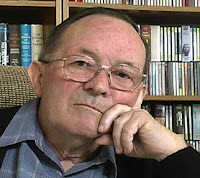 In in his book, The Antagonist, Lawrence Martin wrote that Bouchard displayed "a form of intolerance rarely witnessed in modern Canadian politics. Those who didn't share Lucien Bouchard's ever changing view of the world were unworthy or disloyal. Politicians regularly harpooned one another over disagreements on issues, with the disputes sometimes descending into personal put downs. But rarely did the vitriol reach this level." Like Bouchard, Stephen Harper is a man of seething resentments. Like Bouchard he is (in public) totally devoid of humour. And, like Bouchard, he is willing to take Canada to the brink. He should be removed from office. But it's clear that his Conservative caucus, as Adam Radwanski suggested this week in The Globe and Mail, is more of a personality cult than a party. The Liberals, for all of their problems, are still a party -- struggling with a way to remove Stephane Dion before his announced departure on May 2nd. If the Conservatives will not remove Harper, then it's up to the coalition to do so. If they fail, constitutional democracy in Canada will have been dealt a terrible blow. As a last resort, it will be up to voters -- hundreds of thousands by that time will have received their pink slips -- to fire Mr. Harper. My guess is that he will not stay around long. When he is removed from the game for throwing at the head, he will not -- like the immature child he is -- head for the showers. He will pick up his ball and go home. Carl von Clausewitz famously defined war as "politics by other means." 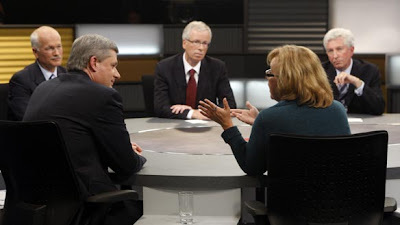 Last Thursday, Stephen Harper declared war on all three opposition parties. If that analogy seems a little overwrought, consider what Tom Flanagan -- Harper's mentor and advisor -- wrote two years ago in his book, Harper's Team: "The 2004 election was our first Punic War, in which bringing the Liberals down to a minority government constituted moderate progress. We fought our Second Punic War in 2005-6, got control of the government, and reduced the Liberals to opposition status, burdened with inadequate funding and selecting a new leader. But what of the coming Third Punic War? . . .Objectively it would be more in our interest to beat the Liberals down to 20% of the vote, where they could duel with the NDP." Despite the Conservative attack on Stephane Dion, Mr Harper's misreading of Quebec and his suggestion that Canadians should treat the economic meltdown as an opportunity to buy stocks sabotaged his party's Third Punic War. It ended in stalement. So, last Thursday, Harper adopted his final solution. It is worth remembering that, in the original Third Punic War, Rome razed the city of Carthage. And, in an effort to ensure that it would never rise again, the Romans sowed the surrounding fields with salt, rendering them barren -- an early version of Sherman's March to the Sea. Those who contemplate war should really read von Clausewitz. Better still, they should read Winston Churchill: "The statesman who yields to war fever," Churchill wrote in My Early Life, "is no longer the master of policy but the slave of unforeseeable and uncontrollable events." Obviously, Mr. Harper is no Churchill. Rather than setting up a duel between the Liberals and the NDP, he has managed to unite them -- something they would have never done on their own. And, even though the Bloc Quebecois will not join the coalition, they, too, are on side. It is always wiser in politics to divide the opposition, not to decimate it. Managing the new coalition will be a very difficult assignment. And, because Stephane Dion is out of the running, that task will fall either to Bob Rae or Micheal Ignatieff. Word this morning is that the NDP will hold one quarter of the seats in Cabinet; the Liberals will hold the Finance and Treasury Board portfolios; and the jobs of Prime Minister and Deputy Prime Minister will also be held by Liberals. Normally, a leadership convention would choose the Liberal leader. But Mr. Rae and Mr. Ignatieff both ran for the brass ring a little over two years ago. They are not unknown quantities in their party or with the public. If these were ordinary times, Dominic Leblanc might serve as kingmaker at a Liberal convention. But these are not ordinary times -- something Mr Harper and Mr. Flaherty have refused to recognize. Both men have invested their entire careers in an old paradigm. And their inability to recognize that the old order is changing has weakened, perhaps defeated, their government. Both men spent the weekend furiously backpedalling. But I suspect that, a week from today, all three opposition parties will follow the counsel of Paul Martin's former communications director, Scott Reid. Harper doesn't play to win, Reid wrote in Saturday's Globe and Mail: "He plays to conquer. Under his guidance, the public interest is always subjugated to his personal political advancement. And he poisons Parliament with an extreme, bare fanged breed of partisanship that has no hope of repair until he is banished." The challenge for a governing coalition is to convince Canadians that its members are acting in the public interest, and not for personal political gain. Whoever the Liberals choose as their leader will have to personify that notion -- and he will also need the personnel management skills to lead what the American historian Doris Kearns Goodwin has called, "A Team of Rivals." 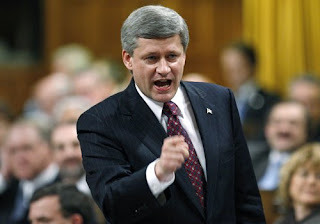 As for Mr. Harper, he will not go quietly. He may prorogue Parliament. He may provoke a constitutional crisis. His attempts to be gracious will ring hollow. But he has profoundly misunderstood his opposition. Even worse, he has profoundly misunderstood his times. 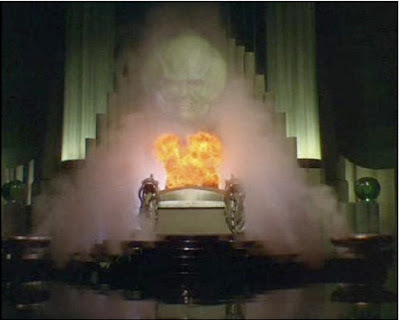 Like "the great and powerful Oz," he has suggested that we "ignore the man behind the curtain." But no errant dog has drawn back that curtain. Mr. Harper has done it himself. As Jeffrey Simpson wrote in Friday's Globe, "That [Harper] acted in this fashion, at this time, was enormously revealing. And very sad." Now that Frank McKenna, John Manley, Gerard Kennedy and Martha Hall Findlay have left the Liberal leadership open to either Dominic Leblanc, Michael Ignatieff or Bob Rae, some may conclude that life in the party will be more of the same. But the small coterie of leadership candidates allows the party to do what it should have done after its previous defeat. The prime directive -- for the moment -- is not to decide who will stand for the party, but to determine what the party will stand for. This is not the first time the Liberals have been in this spot. After the Diefenbaker Progressive Conservatives sent the Liberals packing in 1957, the party held an historic policy conference in Kingston. Out of that conference came the document, "New Statements of Liberal Policy." 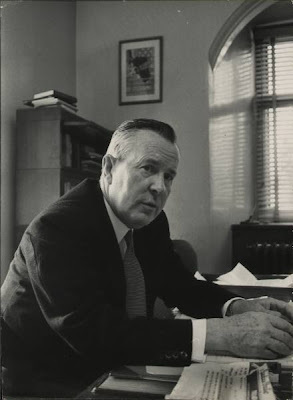 As Tom Kent -- who was at that conference and who later became a senior advisor to Lester Pearson -- wrote in The Globe and Mail, the conference "set the party's direction through the years of gathering membership and onto the programs implemented by the Pearson government." Those programs included the Canada Pension Plan, Medicare and (although many have forgotten the cantankerous debate which surrounded it) the adoption of a distinctly Canadian flag. The Kingston Conference concentrated on the future and thoroughly examined -- painful though it was -- why Canada's "natural governing party" had been reduced to a shadow of its former self. And it started, not from the proposition that the people were stupid, but from the realization that the world had changed. The global financial crisis of the last year and the election of Barack Obama in the United States has, indeed, confirmed that -- once again -- the world has changed. Kent told his readers that it is time for the Liberals to engage again in such a far reaching rethink -- and he sketched out the general parameters of such an exercise: "In my view, the dominant aim should be to enable all families to nurture their youth in health, with early care and learning, and with the stimulating opportunities that can make good lives possible in the contemporary economy." Last week, Deborah Coyne -- a long time Liberal activist -- tried to flesh out that vision. "National action -- from food safety to clean air and water, to removing toxins in our environment -- has, at best, been anemic, incoherent and after the fact. At worst, it has placed the public in jeopardy. Medicare is less and less a national program and more and more an uneven patchwork of medically required services across provinces with tragic consequences, as in the case of cancer pathology in Newfoundland. Our physical infrastructure is dangerously decayed and public transit is inadequate everywhere. Inequality of wealth and income among Canadians is increasing alarmingly. Even in the international arena, our national impact is weak and blurred as provinces multiply their independent initiatives abroad." These effects are the naturally occurring consequences of neo-conservative policies, not just of the Harper government, but of previous Liberal governments. What Canada needs, Coyne writes, is a party "that gives us a sense of national purpose and pride, and sees national government as an instrument of the people, not as a business to be downsized." The renewal which Liberals seek can only be accomplished from the bottom up. Before it meets in Vancouver next May, the party needs another Kingston Conference to set policy and to organize the grassroots. This is not to say that choosing a leader will be mere frosting on the cake. Stephane Dion's recent showing proves that being a good and decent man is not enough. The party needs an extraordinary leader. But before it chooses one, it needs an extraordinary platform. We are in for tough times. This morning comes word that Japan is officially in recession. On Friday came news that the fifteen countries which use the Euro are in recession. And then, of course, there is North America, where the storm first came ashore. The last time this happened was in 1979 -- after the first oil shock -- when Jimmy Carter went to the mountain (Camp David) and came down with an address for his countrymen. "In a nation that was once proud of hard work, strong families, close knit communities, and our faith in God," he told his fellow citizens, "too many of us now tend to worship self indulgence and consumption. Human identity is no longer defined by what one does, but by what one owns. But we've discovered that owning things and consuming things does not satisfy our longing for meaning. We've learned that piling up material goods cannot fill the emptiness of lives which have no confidence or purpose." Not only was the search for more material goods a dead end, said Carter. It was also a clear and present danger, because it could only be supported by ever increasing energy consumption; and those energy resources would have to come from outside the United States. When Carter delivered his speech, 43% of America's energy came from beyond its borders. Just before the U.S. invasion of Iraq it was 60%. 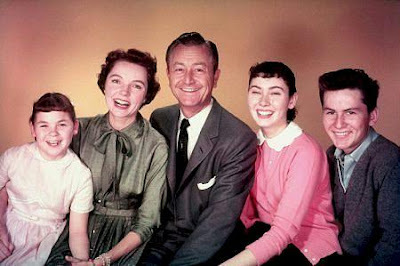 Carter pleaded with Americans to turn down their thermostats and to wear sweaters, to drive their cars less and to learn to live within their means. But Americans saw him as a modern day Jeremiah, just when Margaret Thatcher and Ronald Reagan were telling their citizens that a brighter future lay with free markets and unfettered capitalism. It was possible to have more -- much more -- not less. Unfortunately, such a future required a reordering of American and British military priorities. And it was most fortunate that, ten years later, the Berlin Wall fell. Instead of concentrating their attention on Europe, both countries could concentrate on where the oil was -- the Middle East. As Andrew Bacevich makes clear in his book, The New American Militarism, Reagan began the process of refocusing the American military -- a process which continued during the administrations of George Bush and Bill Clinton. It was a process that began long before the elder Bush's prodigal son took office. Several administrations committed themselves to the same goal: "Only by enjoying unquestioned primacy in the region," writes Bacevich, "-- initially defined as "Southwest Asia" but eventually to encompass all of the Persian Gulf, the Caucasus, and Central Asia -- could the government of the United States guarantee American prosperity and therefore American freedom." For neo-conservatives -- from Thatcher to Reagan , to the two Bushes and Canada's Stephen Harper -- "freedom" has meant the freedom to have more. Unfortunately, that kind of freedom costs a great deal of money (most of it borrowed) and blood. In the last year, all the bills have come due. It has taken thirty years to prove that Jimmy Carter was right. We are all going to have to live with less. And getting out of the swamp we are in will take a lot of effort and time. But we are not without hope. As Armine Yalnizyan writes in today's Toronto Star, "It's a time for action, and some of our governments have already begun. Even before this crisis, some municipal and provincial governments had started to focus on how to tackle poverty in a systematic, comprehensive way." Besides injecting liquidity into the banks,Yalnizyan writes, governments will have "to speed up the repair and expansion of infrastructure . . . ramp up skills development programs . . .[and] improve income supports for those without work." That seems to be Obama's plan, too; and it would appear that the leaders of the G20 have also seen the writing on the wall. Even Stephen Harper is making noises about the necessity of government intervention. Obama's election does not mean, as Ronald Reagan boasted, that "it's morning in America" again. But it does mean that a man who knows something about collective action and social justice will be sitting at future G20 meetings. There is a long, long way to go. But we just might make it. Almost a week has passed since the American election. And, now that analysts have not only counted the votes but traced them back to their sources, the news is even better than the fact that the first African American has been elected president. For, while Obama promises a better future, he also reminds all of us of the past -- and how democracy is supposed to work. For nearly a generation now, in both the United States and Canada, political parties have practiced wedge politics -- the tactic of winning elections by dividing the electorate into subgroups and setting them one against the other. The technique is manifested in the conceit of blue and red states south of the border and regional political affiliations in Canada. In the recent Canadian election, the old pattern held. Stephen Harper's electoral strength is in rural and Western Canada. His party elected no members from any of the major Canadian cities; and he has very few seatmates from the Maritime provinces or Quebec. In the United States, the Republican party is basically a southern and rural party -- but Obama has changed that configuration by winning both Virginia and North Carolina. Even more importantly, as a map in last week's New York Times indicated, Obama has significant support even in red states. That is the way elections used to be won. Obama's support cuts across both genders and all income and ethnic groups. As Frank Rich noted in Sunday's Times, "A higher percentage of white men voted for Obama than any Democrat since Jimmy Carter, Bill Clinton included." And Obama won "all four of those hunting and Hilary loving Rust Belt states that became 2008's obsession among slumming upper middle class white journalists: Pennsylvania and Michigan by double digits, as well as Ohio and even Indiana, which has gone Democratic only once (1964) since 1936." 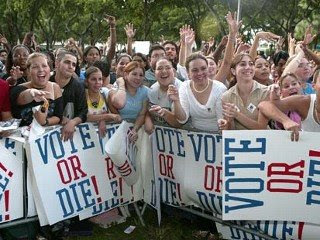 Obama won 78% of the Jewish vote and 67% of the Hispanic vote -- and the young, who were the foot soldiers in his political army, turned out in droves. In fact, they are the real reason for Obama's success. Much has been made of the money the Obama campaign spent on television ads. But what made the difference was all of the field offices, staffed with young volunteers and spread across all fifty states, who managed to turn out the second highest number of voters ever. Only in 1960, when John Kennedy ran, was the turnout higher. Sarah Palin and Rudy Gulliani mocked Obama's experience as a community organizer. "I guess a small town mayor is sort of like a community organizer," Palin proclaimed sarcastically, "except that you have actual responsibilities." It turns out that knowing how to organize from the bottom up makes all the difference. It's all about what happens on the ground, not what is mandated from above. And that is the real cause for hope, which Obama brings to the monumental problems he faces. If he is to solve those problems, he will not be able to mandate solutions. What he will need is community action on a large scale -- the very opposite of the unfettered individualism which has been the bedrock of modern neo-conservatism. Some will call that socialism or communism. They already have. We heard those slurs at McCain-Palin rallies. But citizenship is about one's responsibility for the common welfare. There is great wisdom in that notion. "For the last eight years," Rich wrote, "we've been told by those in power that we are small, bigoted and stupid -- easily divided and easily frightened. That was the toxic catechism of Bush- Rove politics." It turns out that, occasionally, the common man can be guided by what Abraham Lincoln -- one of Obama's heroes -- called "our better angels," and act, -- also in Lincoln's phrase -- "with malice toward none, with charity toward all." Such moments are rare. But this might be one of them. Stephen Harper take note. Barack Obama was two years old when Martin Luther King stood in front of the Lincoln Memorial and dreamt out loud that one day his and everyone else's children would "one day live in a nation where they will not be judged by the color of their skin but by the content of their character." Last night King's dream came true. It has been a long time coming. And for those of us who remember the police dogs and the fire hoses and the bombings -- if not the signs on restrooms and water fountains that read "Colored" and "White" -- it still seems like a dream. Last night, as Tom Friedman wrote this morning in The New York Times, the American Civil War ended. 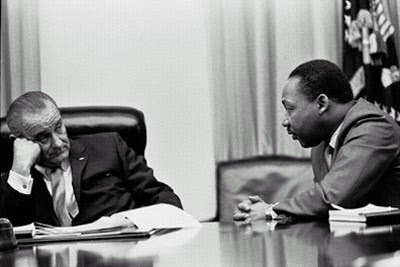 "For despite a century of civil rights legislation," Friedman opined, "judicial interventions and social activism -- despite Brown v. Board of Education, Martin Luther King's I- have-a -dream crusade and the 1964 Civil Rights Act -- the Civil War could never truly be said to have ended until America's white majority actually elected an African American president." And now Obama will need that majority to not just fix -- but to remake -- the American government. As he himself acknowledged last night, the job he faces is monumental. With America bogged down in two wars, with a world economy teetering on the abyss, with the fate of the planet in the balance, and with the American Constitution badly bruised, he has his work cut out for him. However, he has earned a windfall of international good will. The entire world has watched this election -- and most of its inhabitants were clearly rooting for the person Obama called "the skinny kid with the funny name." Last night, in Canada, the radio network of the Canadian Broadcasting Corporation covered the American election as they covered the recent Canadian election, devoting the entire evening to reporting and analyzing the results as they came in. And now the hard part begins. As Obama said in his victory speech, "We know that the challenges that tomorrow will bring are the greatest of our lifetime;" and, to meet them, Obama knows that he will need the help and the support of those who didn't vote for him. "The road ahead will be long, " he said, "our climb will be steep." It will require "a new spirit . . . where each of us resolves to pitch in and work harder and not only look after ourselves but each other." Tom Friedman understands what Obama was talking about. "There is much work to be done," Friedman wrote. "The Civil War is over. Let reconstruction begin." God speed. The period immediately following the American Civil War is generally referred to as The Gilded Age, a term originally coined by Mark Twain and Charles Dudley Warner. It was followed by what historians refer to as The Progressive Era, in which governors, like Wisconsin's Robert La Follette and presidents like Teddy Roosevelt and Woodrow Wilson, crafted public policies in reaction to the unmitigated greed and conspicuous consumption of the previous period. It took some time, but Canada also hopped on the progressive bandwagon, when a coalition of Ontario and prairie farmers formed the Progressive Party, which eventually merged with the old Conservative Party of Canada. Progressive programs were similar in both countries. Their general purpose was to wrestle political control from the elites, who held the reigns of power, and to transfer them to ordinary citizens. Thus, progressives advocated workers rights, social justice, gender equality and public safety. 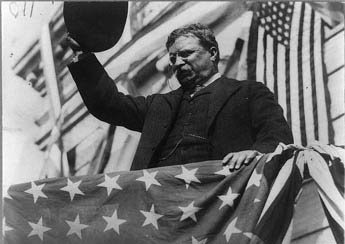 These goals were to be achieved by legislation allowing workers to form unions, establishing a progressive income tax, allowing women the right to vote, guaranteeing food and consumer protection, and breaking up large corporate conglomerates -- like John D. Rockerfeller's Standard Oil-- which Teddy Roosevelt called "malefactors of great wealth." We now take these programs for granted, even as they have been eviscerated during the last thirty years. As capital has become more mobile, power has shifted from workers to employers; income tax cuts have been structured to favour the wealthy; companies have become too big to fail; and, as the recent listeriosis outbreak in Canada illustrates, safety inspections are now the business of the companies which produce goods and services, instead of the government. All of this was done, as Alan Greenspan testified last week, on the assumption that self interest would prevent people from making stupid decisions. Greenspan now admits that his view of the world and its inhabitants was "flawed" -- and the word "progressive" is returning to the political lexicon. Supporters of Barack Obama like to refer to themselves as progressives; and, in this country, Sinclair Stevens -- the former minister of finance in Joe Clark's government -- leads a group which calls itself The Progressive Canadian Party. In the last election, the party's target wasn't the Liberals or the NDP. It aimed its advertising -- limited as it was -- at Stephen Harper's Conservatives. Stevens himself was, like Clark, a member of the Progressive Conservative Party of Canada. The word "progressive" was dropped from the party brand when Harper was elected leader. Given the policies the Harperites stand for, the word's disappearance was no mere oversight. And now David Brooks, in last Saturday's New York Times, writes that, in American political history, there is "a third tendency which floats between" Liberalism and Conservatism. This third option -- which Brooks claims is rooted in the thought of Alexander Hamilton -- "is for using limited but energetic government to enhance social mobility." Brooks traces Hamilton's philosophy through Lincoln's Land Grant College Act, which established the state university system, to the Homestead Act, which gave farmers free land in the West -- if they agreed to develop it -- to Teddy Roosevelt's trust busting. What is interesting is that Brooks calls this train of thought "progressive conservatism." Perhaps he is simply returning to his Canadian roots -- he was, after all, born in Toronto. But, more importantly, Brooks writes that some conservatives had hoped that John McCain (who calls Teddy Roosevelt his political hero) would reform the Republican Party and reestablish the party of Lincoln and Roosevelt. Instead, he threw in his lot with the party of Nixon, which rose to power on a tide of resentment and a southern strategy aimed directly at the supporters of Strom Thurmond, George Wallace and Jesse Helms. That party, says Brooks, is doomed. 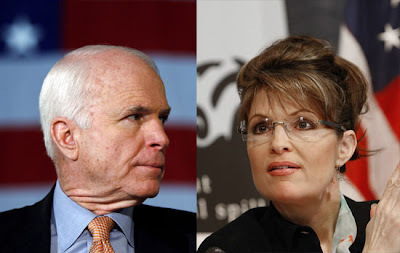 McCain's choice of Sarah Palin who "represents the old resentments and the narrow appeal of conventional Republicanism" is a sure sign that the party is "ailing" and "behind the times." No one should mourn its demise. If the American historian Arthur Schlesinger is right in his assertion that history runs in cycles, we are due for a Progressive Revival. It cannot come too soon. 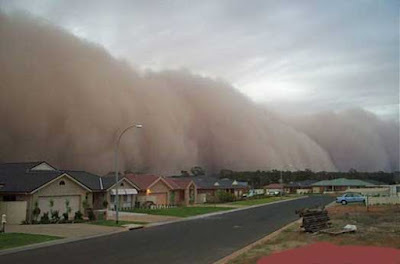 Now that the dust has settled, it's time to take stock. As just about every commentator has noted, this election was, while not quite a debacle, nevertheless a sound defeat for the Liberals. And for that Stephane Dion will shoulder the blame. As Susan Riley wrote last week in The Ottawa Citizen, he deserved better. For, like it or not, the most effective way to slow global warming is to tax carbon. George Soros -- who has for some time been predicting the present financial calamity -- made that point two weeks ago to Bill Moyers. Furthermore, the way out of this mess is to tax consumption, not incomes. If the last two months illustrate anything it is that, when you make consumption effortless, you encourage unsustainable debt. Unfortunately, Mr. Dion has difficulty connecting with ordinary citizens. They see him as a good and decent man who is too shrill and too schoolmarmish. And there is, also unfortunately, simple minded prejudice at work about a man who has trouble wrapping his tongue around the words of his second language. Those who fault him for that should go back and listen to John Diefenbaker's French. Dion's English may be awkward. Diefenbaker's French was excruciating. Be that as it may, the time when a Canadian prime minister needed to function well in only one language has long since passed. Anyone seeking to lead this country must be able to slip effortlessly between English and French. The Conservatives made hay out of Dion's linguistic weakness. They certainly played and replayed the beginning of that CTV interview, where Dion had difficulty understanding a question. And their attack ads -- complete with pooping puffins -- were shameful. But this has been standard fare for some time now. Anyone who has watched Mr. Harper operate over the last two and a half years was not surprised by the Conservative campaign. And, because we were not surprised, we have lived through a national Ground Hog Day, where we were before Mr. Harper broke his own law because (he said) the country needed an election. Canadians knew that while the Conservatives tried to make Dion look like an egghead and Harper look like (Bob Rae said) Perry Como, there really was a tyrant behind the facade. Quebecers understood this better than anyone else. When Harper trashed arts galas and suggested a get tough approach to youth crime, they knew he really didn't understand them. Quebecois irascibility is a legitimate source of concern. Jeffrey Simpson noted in the Globe and Mail that "By voting Bloc for six consecutive elections the largest number of francophones in Quebec turned their backs on Canada, while not expecting that the rest of Canada would ever turn its back on Quebec." The problem, of course, is that the "open federalism" Harper practices makes that possibility more likely. For while Mr. Harper has a clear idea of how he wishes Canada would work, he truly doesn't understand how either Quebec or Canada really works. His central governing philosophy is not John A. MacDonald's or Dalton Camp's conservatism. 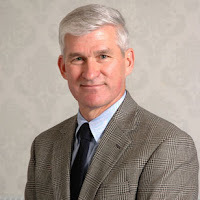 Under the tutelage of Tom Flanagan -- born in the United States, with a doctorate in political science from Duke University -- Harper has tried to import American neo-liberalism into the country. Both MacDonald and Camp understood that in the world's second largest country, with one of the world's thinnest but most diverse populations, both American Republicanism and pure British parliamentary government would not work. And in the United States, where the consequences of neo-liberalism are now on full display, one can argue that it has been a spectacular failure. It was Harper's ignorance of how his own country functions that both Jack Layton, Elizabeth May and -- most importantly -- Gilles Duceppe impugned. 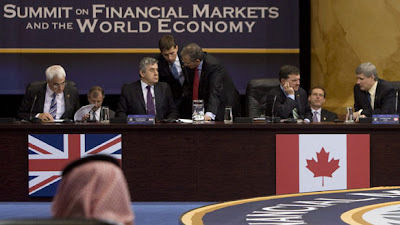 And, when Mr. Harper suggested that ordinary Canadians should use the stock market meltdown as an opportunity to buy stocks, he displayed a truly indecent ignorance of how most of his fellow citizens live. Harper is a shrewd technocrat who knows a lot about a narrow slice of human experience. And it was what he didn't know that led Canadians to the conclusion -- for the second time -- that giving the man a majority was unwise. So we're back where we started -- except Stephane Dion will be leaving the stage, perhaps as early as today. That means another leadership convention for the Liberals. Mr. Dion's leadership was the direct result of the uncivil war between Mr. Chretien and Mr. Martin. Whoever the party chooses, he or she must unite its left and right wings. There is no time and no room for an interim or a default leader. The problems we face at home and abroad are extraordinary. Turnout for this election was 59% -- the lowest in Canadian history. Clearly, in a country where 75% of the citizens used to regularly go to the polls, none of the leaders on offer struck Canadians as extraordinary. One can only hope that, next time around, the leaders and the campaigns will be extraordinarily different. Tomorrow there will be an election in Canada. In a little over three weeks, there will be an election in the United States. Both campaigns are taking place as world financial markets are being hit by a tsunami, a cataclysm which will leave the world greatly changed. In the United States, that change is reflected in the erratic Republican campaign, which finds the bedrock it has stood on for the last thirty-five years being smashed and dragged to oblivion in the undertow. In Canada, the change is bedeviling the Conservative campaign, which seeks to import many of the same policies to the Great White North, and shift the country's centre of gravity to the right. For Canadian Conservatives, James Travers wrote in Saturday's Toronto Star, calling an election "seemed like a good idea at the time." But recent events -- and the Prime Minister's Freudian slips -- have made what appeared to be a "sprint" to victory less likely. "Harper's policies and character," wrote Travers, have begun "challenging Dion's Green Shift and competence as a ballot question." This was particularly apparent last week, when Mr. Harper suggested that wise Canadians should treat the market meltdown as a buying opportunity -- as if ordinary citizens had the money on hand to make such purchases. In fact, Harper's advice had grating echoes of George W. Bush's advice that, after 9/11, patriotic Americans should go shopping. 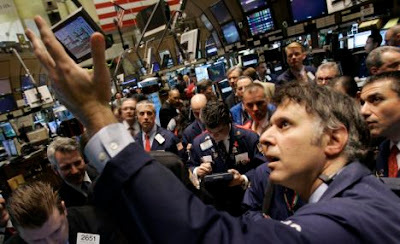 In the United States, Bob Herbert wrote in The New York Times, that "the lesson for Americans suffused with anxiety and dread over the crack up of the financial markets is that there are real world consequences when you go into a voting booth and cast that ballot. . . . I don't for a moment think that the Democratic Party has been free of egregious problems. But there are two things I find remarkable about the G.O.P., and especially its more conservative wing. The first is how wrong conservative Republicans have been on so many profoundly important matters for so many years. The second is how the G.O.P. has nevertheless been able to persuade so many voters of modest means that its wrong-headed, favor the rich, country be damned approach was not only good for working Americans, but was the patriotic way to go." John McCain started his campaign by peddling that same snake oil. But, in the wake of the failure of those policies, he has veered from one contradictory proposal to another, trying hard to avoid responsibility for the disaster which has engulfed his campaign. The result is that today the man McCain refers to as "that one" has a ten point lead in national polls, even as McCain's credibility continues to drop. The race is much tighter north of the border -- partly because votes here are distributed between five political parties, not two. However, this weekend, Green Party leader Elizabeth May encouraged her followers to vote strategically -- either for Stephane Dion's Liberals or Jack Layton's New Democrats -- if their votes could prevent Stephen Harper from achieving a majority of seats in the House of Commons. She added her support to novelist Margaret Atwood, who wrote last week in The Globe and Mail, "Dear Fellow Canadians: If you give the Harper neo-cons a majority government, you will lose much that you cherish, you'll gain nothing worth having, and you'll never, never forgive yourselves." The events of the last two months add a particular urgency to Atwood's plea. It seems that, in the United States, the wreckage of the last eight years is being swept out to sea. The Harper government has only been around for two and a half years. It may survive in a truncated form, because the tidal wave has only begun to hit our housing market and the factories of central Canada. But, before long, I suspect that Mr. Harper and his associates -- despite their attempts to climb high enough into the trees -- will be swept away, like their philosophical and economic brethren to our south. Last week, in The New York Times, Timothy Egan took the measure of the second Bush administration. Bush's legacy, he wrote, is "a Mount Rainier of shame and failure." -- and it is defined by three catastrophes. Each of those catastrophes occurred despite the advice of Bush's chosen advisers -- all of whom were thrown overboard, when Bush judged that they were not team players. Such was the fate of Paul O'Neill, who "sounded an alarm, saying Bush's rash economic policies could lead to a deficit of $500 billion." Then there was the case of the Chairman of the Joint Chiefs of Staff, General Eric Shenseki, who told his boss, Donald Rumsfeld, that any invasion of Iraq would require roughly the same number of troops who were deployed in Desert Storm. Rumsfeld saw to it that Shenseki applied for his pension early and did not attend the retirement party. Then there was the case of the man who oversaw the first invasion of Iraq, Secretary of State Colin Powell, who warned that any invasion should be approached with a thorough understanding of the Pottery Barn Rule: "If you break it, you own it." Powell, too, was shown his way to the exit. Mr. Bush simply could not tolerate ambiguity or dissent. As he told Bob Woodward, "I don't need people around me who are not steady. . . . And if there's a kind of a hand wringing going on when times are tough, I don't like it." 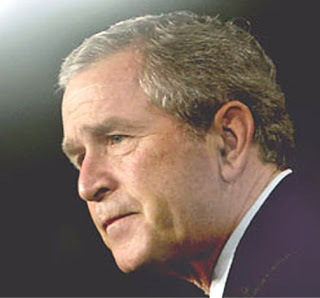 It is that childlike insistence that everyone has to play by George's rules which will mark Bush's legacy. "Historians will recall," writes Egan, "that in each of the major disasters on Bush's watch, there were ample warnings -- from the intelligence briefing that Osama bin Laden was determined to strike a month before the lethal blow, to the projections that Hurricane Katrina could drown a major American city, to the expressed fears that letting Wall Street regulate itself could be catastrophic." Those same historians will recall Paul Begala's comment that Bush is "a high functioning moron." The comment is unfair; but it does raise the question of how Americans managed to choose Bush -- not just once, but twice. I suspect that their choice had less to do with rationality than it had to do with hubris and fear -- and a good politician's ability to exploit both. "If ever there was an argument for voting against politicians who are confident about their cluelessness," Egan concluded, "Bush is it." That is a legacy which transcends both time and space.